Info George White, fifty-second governor of Ohio, was born in Elmira, New York, August 21, 1872, the elder of the two children of Charles W. and Mary (Back) White. His parents were natives of south-central New York, his father having been born at Havana (now Montour Falls) and his mother at Susquehanna. In 1873 the family moved to Titusville, Pennsylvania, where the father continued his work as a watchmaker and jeweler. George attended the public schools of Titusville, and in his spare time delivered newspapers and worked in stores. He went to Princeton University, where he had classes under Woodrow Wilson and from which he was graduated in 1895. After his graduation he worked in a lumber camp, as a roustabout in the oil fields of north- western Pennsylvania, and as a school teacher. Then, early in 1898, he joined the gold rush to the Klondike. As a gold seeker he packed an eight-hundred-pound outfit over the difficult Chilcoot Pass, "mushed" with sleds and dog teams, and labored at placer mining in the frozen Yukon subsoil. His experiences were later to enable him to speak with first-hand authority in congress on the problems of Alaska, and to give him a slight air of exoticism on which he was able to capitalize politically. His financial rewards were more meager than popular report indicated. He once told a journalist that he had merely "picked up enough in the Klondike to buy a silk hat and a suit of clothes to get married in." Immediately after his return from the gold fields he married Miss Charlotte McKelvy of Titusville on September 25, 1900. Shortly there- after he moved to Woodsfield, Ohio, and then, in 1902, to Marietta. Here he entered the oil production business, first in Ohio and the nearby parts of West Virginia and later in Oklahoma. He returned to his highly successful enterprises in the intervals in his political life. George White's first venture into politics was in 1905, when he was elected as a "dry" Democrat to represent normally dry Republican Washington County in the Ohio House of Representatives. He served on the temperance committee of the seventy-seventh general assembly (1906-8) and thereby strengthened his reputation as a "dry," but other- wise he was chiefly notable because he sponsored a joint resolution asking congress to submit a constitutional amendment providing for the direct election of United States senators. The year after his election to the Ohio legislature, White obtained the Democratic nomination for the fifteenth congressional district, which had elected only Republicans since the Civil War. He lost to the in- cumbent, Beman G. Dawes, in November. He ran against James Joyce of Cambridge in 1908, and this time lost by only fifty-seven votes in 45,000. He defeated Joyce in 1910 and again in 1912. He lost to William C. Mooney of Woodsfield in 1914 by 104 votes, won over him in 1916 by 290 votes, and lost to C. Ellis Moore of Cambridge in 1918 by about 1,500 votes. As a member of the sixty-second, sixty-third, and sixty-fifth congresses, White served on the committees on pensions, mines and mining, and ways and means, voted twice for prohibition, and introduced the same joint resolution for the direct election of senators which he had already sponsored in the Ohio legislature. During the political maneuvering which preceded the Democratic national convention of 1920, White supported his old congressional friend, Governor James M. Cox. He acted as chief assistant to Edward H. Moore, Cox's campaign manager, by maintaining an office in Washington to keep in touch with congressmen and visiting politicians. After Cox was nominated, White replaced Moore as campaign manager and was selected as Democratic national chairman in succession to Homer S. Cummings. He served acceptably in this capacity, conducting a clean rather than sensational campaign. Shortly after the Harding victory the forces in the Democratic party favorable to William Gibbs McAdoo tried to have White removed. At first they had little success, but finally, in November 1921, White resigned his office in the interests of party harmony and was replaced by Cordell Hull. 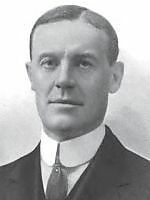 White next appeared on the political scene in 1928, when he lost the Democratic gubernatorial nomination to Charles V. Truax, state director of agriculture. Two years later he defeated Stephen M. Young in the primary, and then went on to beat Governor Myers Y. Cooper in November. In this election he apparently gained some advantage from his reputation as a "dry," but unquestionably his victory was primarily in the nature of a protest against the deepening economic depression. His reelection in 1932 over David Ingalls may, however, be taken as an endorsement of his conduct and policies as governor. White's two terms as governor fell in the years of the trough of the national depression. His major activities and recommendations there- fore related directly or indirectly to economic problems, such as falling state revenues, relief for the unemployed, and the crippling of the school system through the breakdown of the taxing capacity of the local subdivisions. He found it necessary to call three special sessions of the legislature in each of his terms. In general the legislature responded favorably to his suggestions. White's attitude throughout was that the government must live within its means. He reduced state expenditures by eliminating certain services and having the legislature cut salaries on a graduated basis. Because existing sources of taxation, especially real estate taxes, bore unfairly on the rural population and failed to produce needed revenue, he advocated or accepted a series of new taxes, including a tax on intangibles, an excise tax on public utilities, taxes on cigarettes, beer, cosmetics, and amusement tickets, and, most important and controversial of all, a general retail sales tax of three percent. When the federal government commenced its emergency relief program in Ohio in 1933, White cooperated loyally with it and had the legislature enact laws paralleling or supplementing the national industrial recovery act and the agricultural adjustment act and providing for participation in the Muskingum Conservancy District. Other important if not spectacular legislation of his regime established a five-day waiting period for marriage licenses, regulated fireworks, created the state highway patrol, set up the Ohio Milk Marketing Commission, and provided for a system of liquor control. The chief emergencies with which White had to deal, other than unemployment and relief, concerned the banking crisis of 1933 and disorders in the coal mining regions. In the former, White was very reluctant to admit that the banks in Ohio needed to be closed, and when they were closed by the federal government, he had them reopened as soon as possible. In retrospect his handling of this problem appears very able. His position with reference to the coal field disorders was that the workers had a right to strike and should be protected in this right, but that he would not tolerate violence. Accordingly, he used the Ohio National Guard to maintain law and order, especially in Athens County. At the same time he attempted to mediate between the miners and owners, unfortunately with only temporary success. White was given some consideration as a presidential and as a vice presidential possibility in 1932. He did not take his favorite-son candidacy very seriously, as is evidenced by a statement he made on the eve of the convention. "I am a fatalist," he said. "I believe whatever happens will be for the best." He nevertheless did write an open letter to former Senator Atlee Pomerene in which he revealed that he had changed his mind on the question of prohibition. He gave it as his opinion that prohibition was leading to disrespect for the law, and he suggested, therefore, that congress should recommend to the individual states the repeal of the Eighteenth Amendment and in the meantime should modify the Volstead act to legalize the manufacture and sale of beer. It should be emphasized that his letter did not represent mere expediency, for a few months earlier he had created a minor sensation in Ohio Anti-Saloon League circles by telling a convention of the Woman's Christian Temperance Union at Columbus much the same thing. In January 1934, while he was still governor, White announced that he would seek the Democratic nomination for senator. Throughout his campaign he emphasized his loyalty to and his belief in the New Deal and in President Roosevelt, but the New Dealers were convinced -rightly enough-that he was not at heart one of them, and supported Assistant Secretary of the Interior Charles West. When James M. Cox and Senator Robert J. Bulkley endorsed West, White announced that he would not be "a rubber stamp" for Cox nor "an errand boy" for Bulkley. The claims and counterclaims as to whether White or West was the more loyal to the New Deal gave the impression that the contest was between them, but in the primary the third candidate, the personally popular non-New Dealer, Vic Donahey, won decisively. White again attempted to gain the Democratic senatorial nomination in 1938, once more protesting his adherence to the New Deal. An aspect of the campaign which attracted much criticism was the fact that at the Northwest Territory Celebration at Marietta, President Roosevelt in his address failed to mention White (who was the chairman of the occasion) and did mention his New Deal rival Senator Bulkley, thus conveying the impression that he endorsed the latter. White was annoyed at what he considered a breach of good taste, but stated, at least for public consumption, that the mention of his rival did not do him any harm. It is doubtful if the endorsement, if such it was, was as important as was thought at the time. In any case, Bulkley went on to win the nomination easily. Perhaps the most important outcome of this primary as far as White was concerned was that it marked his permanent alienation from Roosevelt and the New Deal. He had supported Roosevelt loyally in 1932 and, as he later said, with some mental reservations in 1936. He had cooperated fully with the national administration in its relief and conservation projects in Ohio. In return, the New Dealers had twice helped to bring about his defeat in the senatorial primary. Moreover, as a conservative White had been dubious of many of Roosevelt's ideas, and had been one of those opposing his scheme for the enlarge- ment of the supreme court. When Roosevelt was nominated for a third term, it therefore occasioned no great surprise when White announced that he was a Jeffersonian Democrat and was bolting his party to support Wendell Willkie. When Roosevelt was reelected, he withdrew from politics.